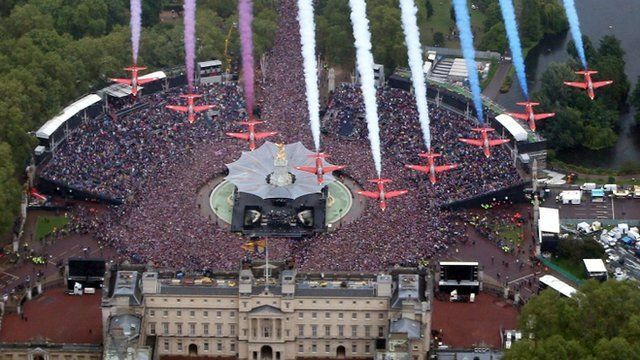 Four-day Jubilee highlights Jump to media player Memorable moments from the Queen's Diamond Jubilee celebrations. 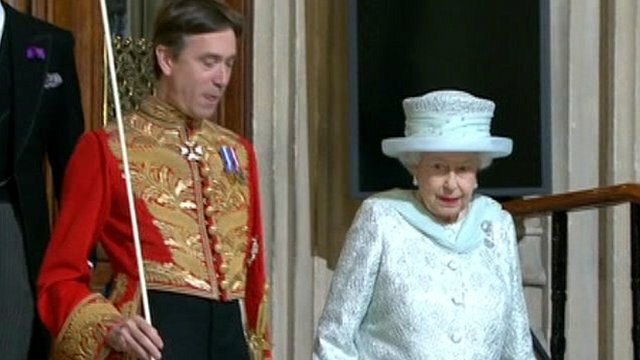 Queen joins guests for Jubilee lunch Jump to media player The Queen attends a lunch at Westminster Hall following the Jubilee thanksgiving service at St Paul's. 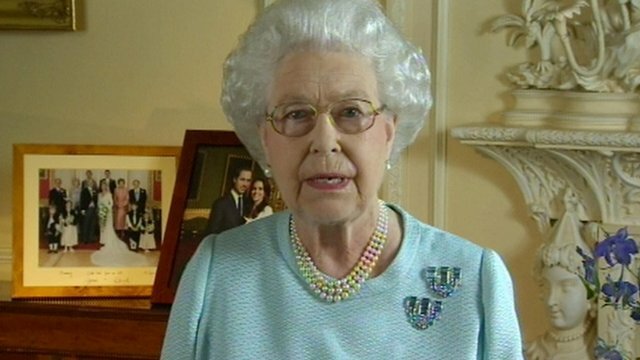 Queen delivers Diamond Jubilee message Jump to media player The Queen has made a special broadcast of thanks following this weekend's Diamond Jubilee celebrations. 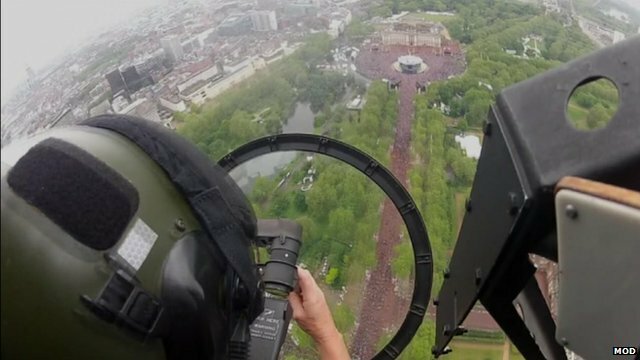 Pilot's view during Jubilee flypast Jump to media player The Ministry of Defence has released footage showing the view from the aircraft taking part in the flypast to mark the Queen's Diamond Jubilee. 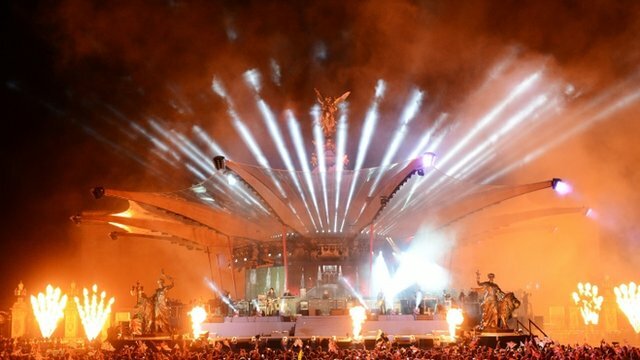 Highlights of Diamond Jubilee concert Jump to media player Artists including Sir Paul McCartney, Stevie Wonder and Robbie Williams have performed for the Queen at the Diamond Jubilee concert outside Buckingham Palace. Queen attends Jubilee thanksgiving Jump to media player A special service of thanksgiving has been held at St Paul's Cathedral, on the final day of the Queen's Diamond Jubilee celebrations. 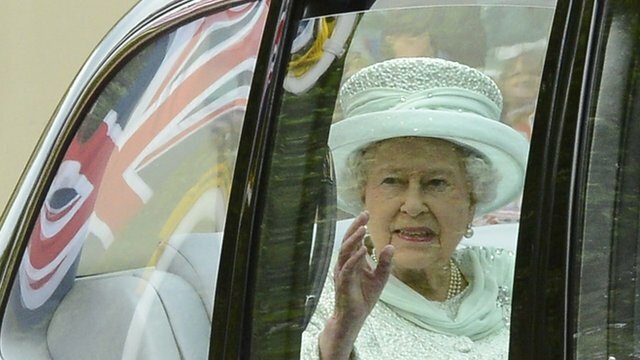 The Queen has said she has been "deeply touched" by the Diamond Jubilee celebrations and has thanked everyone involved for what she called a "humbling experience". The comments, in a special video message, came at the end of four days of festivities which drew hundreds of thousands of well wishers to Buckingham Palace. These are some of the most memorable moments from the celebrations.